Tenant unions and movements have won big victories in the United States and around the world. 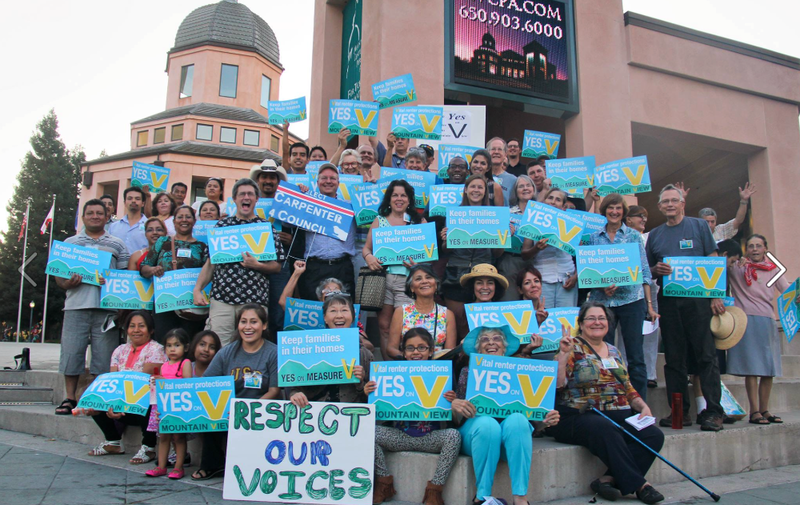 The Mountain View Tenants Coalition in Mountain View, California successfully passed Measure V in 2016 which implemented rent stabilization, allowing a maximum of a 2-5% annual increase in rents. The measure also ended evictions against tenants with no just cause. The Portland Tenants United in 2017 successfully campaigned and passed a law requiring landlords to pay relocation assistance between $2,900 and $4,500 to renters they evict without cause or renters forced to move after a rent increase of at least 10 percent. In Vienna, over 60% of people live in social housing. It's quality, affordable, and open to all. Plus, rooftop swimming pools. Vienna, Austria, is a city of 1.8 million people. Tenant movements elected a social democratic government that builds quality homes affordable to their residents: social housing. Tenants in Vienna benefit from indefinite leases and rent stabilization. It’s not surprising that Vienna ranks as one of the world’s most livable cities. BTU organized, in coalition with many other community organizations, to pass an ordinance allowing ADUs, a small, more affordable home type, in every neighborhood. ADUs are a small, but necessary, step in the right direction toward improving housing affordability, and opening neighborhoods to people of all incomes. BTU turned out renters to testify at City Council and Planning Commission Public Hearings. We sent emails pressuring decision-makers. We helped organize a rally. We wrote articles. We did a lot and it paid off! 2. 60 day notice required for all rent increases over 10%. 3. 60 day notice required for no-cause evictions. A member of Mountain View Tenants Coalition celebrating after winning rent stabilization in 2016. These victories show us another world is possible. We do not have to accept the current failed housing system in Bellingham. To change it, we have come together and raise our political voice. Renters are a majority in Bellingham. We have power - we just need to get organized.